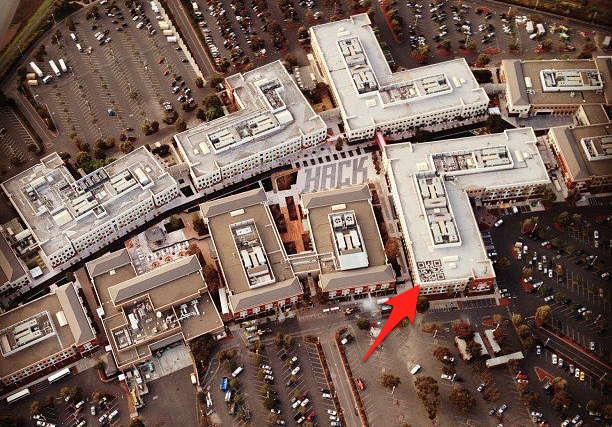 When Mark Zuckerberg called for a “Space Hackathon” to decorate Facebook’s massive new headquarters at 1 Hacker Way, he probably didn’t expect employees to take him so literally. 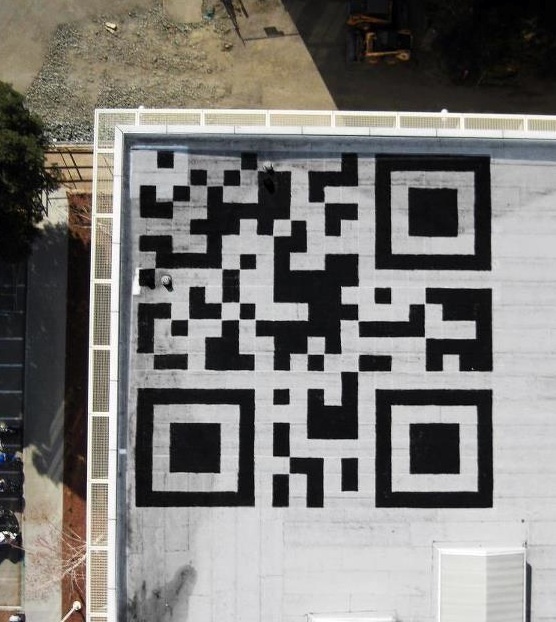 A few scurried up to the roof with some tar paint, and now there’s a 42-foot wide QR code on the roof that’s visible from space. Scanning it opens the new FB QR Code Page on Facebook which may host puzzles, jokes, and other flavor to humanize the company. For now you’ll need an airplane or Facebook security badge to get a look at it first-hand, but once indexed it should appear on your favorite satellite mapping website. When the Hackathon was announced, most employees imagined beautifying the campus with posters and spray paint murals but Mark Pike had something bigger in mind. “It started with a comment on Zuck’s post. I wrote, “Hack yeah! I’d like to paint a gigantic QR code somewhere so we can RickRoll online maps, or point people to our careers site, or send them to a ‘Clarissa Explains it All’ GeoCities Page” Pike says. At 8pm the night of the Hackathon, Pike and 5 others started on the project. By midnight they had a crew of 30, but it would take until daylight to see whether they screwed up the layout. An employee hacked a Canon camera’s firmware, strapped it to a home-made remote-controlled “frankencopter”, and flew it over the roof. When it landed with the photos the team finally found out the code really works. Facebook let us on the roof to check it out, and it’s pretty epic. You can try scanning the big picture above with Scan for iOS, QR Droid for Android, or most other QR apps. What started in a dorm room has matured into one of the world’s most powerful companies. Now there are database architecture and business models to worry about. But with a silly 42-foot wide QR code on the roof, Facebook proves it’s still young at heart.